Genevieve is a multi-disciplinary designer, working across performance, public art, arts-based development, outdoor event and urban design, who believes that storytelling is a profoundly effective means for transcendence and transformation of the individual, and society at large. 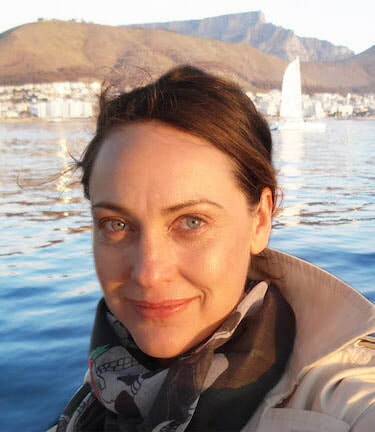 Genevieve holds a Bachelor of Design in Theatre (NIDA), a Bachelor of Design in Architecture (USYD) and a Masters of Urban Design and Development (UNSW). Genevieve has designed sets and costumes for many of Australia’s leading theatre companies, including the Sydney Theatre Company, Melbourne Theatre Company, Queensland Theatre, State Theatre Company of South Australia, Bell Shakespeare, Belvoir Theatre, Griffin Theatre Company, Sydney Chamber Opera and Sydney Festival. Internationally, Genevieve has designed productions for Seattle Opera, New Zealand Opera, the Druid Theatre (Galway), and the Edinburgh Festival. Genevieve co-founded Sticky Situations, a South African community development organisation, and collaborated on a number of award winning arts-based development projects in the township of Diepsloot. Genevieve has also held leadership roles with the Global Studio, a Columbia University/ USYD participatory design studio that works with global communities to devise grassroots initiatives that address urban poverty. Genevieve was a founding board member of Emergency Architects Australia and founded the Sydney chapter of Architecture for Humanity for which she devised and led the award-winning multi-media, multi-site exhibition PEOPLE, PLACES, SITUATIONS: RESPONSE which directly engaged over 300 architecture students with displaced communities, toured nationally and to Vancouver B.C. where she was invited to present the project at the UN World Urban Forum. Recent designs include KATYA KABANOVA (Seattle Opera; New Zealand Opera), NOTES FROM UNDERGROUND (Sydney Chamber Opera at Carriageworks) and a number of large outdoor events for the City of Sydney. Genevieve acts as a strategic cultural consultant providing technical, programming and operational advice on projects for: Architectus; the Parragirls and the Parramatta Female Factory Precinct Association; Opera Queensland; and the CORRIDOR project; an arts-driven STEM-focused community initiative in rural NSW.